Foreclosures in Myrtle Beach have been on the steady decline for the past 12 months. If you are looking for condos for sale in Myrtle Beach or North Myrtle Beach real estate, you will have fewer foreclosures to choose from. The decline in Myrtle Beach foreclosures is the result of a few different circumstances. First, there has been a change in the rules as to when a real estate agent can list the foreclosures. Today, the deed has to be recorded in the bank's name prior to listing it for sale. In the past, the bank could already market the foreclosure while working out the deed. This has created another backlog. Second, the South Carolina courts just ruled to issue another moratorium on foreclosures once again, stopping the new foreclosures from coming on the market. This could mean that fewer foreclosures will take place in the near future, and some people in default will have more time to get a short sale completed on the property. This is good for those in default, yet this could mean an influx of Myrtle Beach foreclosures at a later date. Third, more banks are approving short sales. No one can deny that banks are wanting to get bad debts off their books. The more short sales they approve in Myrtle Beach, the less foreclosures. So, how do you find the Golden Nuggets in the middle of all this chaos? Follow these simple steps and you will increase your chances of landing a deal on a Myrtle Beach foreclosure before the next buyer. 1. Call a Myrtle Beach realtor today and explain what you are looking for. Tell them the price you want to be spend, the type of property, the size, fixer upper or not. 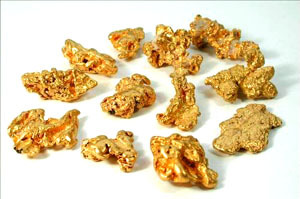 You have to be in the market and ready to pull the trigger if you want to land the Gold Nugget. Think of it this way...if an agent has ten buyers looking for certain types of foreclosures and one comes on the market, who do you think they will call first? You want to be one of those people that get the opportunity call. 2. If you want to buy a short sale or a foreclosure in Myrtle Beach and don't have cash then you MUST have a pre-qualification letter in hand. Banks do not look at offers with financing unless the buyer has a pre-qualification letter. 3. Don't play games. When a Gold Nugget appears, jump on it. Any great deal will have three offers in the first few days of it being listed. If you are the only offer on the property then it probably isn't a steal. Buying a foreclosure in Myrtle Beach has become competitive. There are still some great deals, and if you follow the above steps then you may find the deal falling in your lap. Any agent at Century 21 The Harrelson Group is capable of helping you. As a matter of fact, no company in the Myrtle Beach MLS has helped more people buy and sell foreclosures in the past 5 years. We are committed to helping our buyers and investors create wealth in real estate by making sure they find that Golden Nugget. In five years from now, investors will be saying, "I could have bought it for $$$.... 5 years ago".